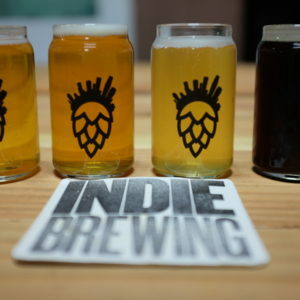 Want to visit three of the most diverse and delicious breweries in the Valley with us? Well, now’s your chance. 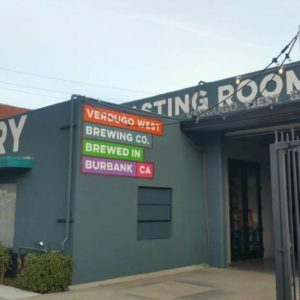 Starting on May 26th, we’re going to be doing weekend tours of the best breweries in the Central San Fernando Valley. 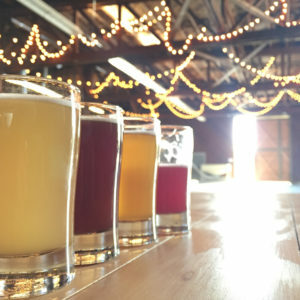 The first tour is on Sunday, May 26th and features Macleod (super drinkable English-style ales), Bluebird Brasserie (beautiful Belgian-style beers and food), and Cellador (amazingly complex fruited and barrel-conditioned beers). Details below! 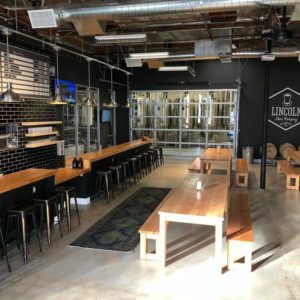 What’s Included: The tour visits three breweries and includes a flight of beer at each place, a behind-the-scenes tour, personal Beer Guide, bottled water, and as much beer info as you like. The entire event takes about four to five hours. 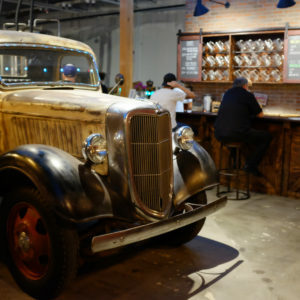 When LA Beer Hop first opened its beer bus doors in 2012, there were eight breweries in Los Angeles, about 2,500 breweries in the US, and a handful of brewery tour operators nationwide. 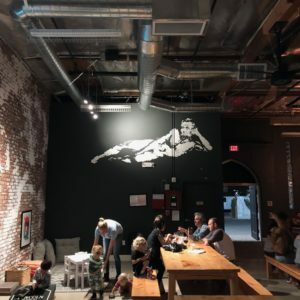 Now, in 2018, there are over 90 breweries in Los Angeles, over 6,400 breweries in the US, and a global network of brewery tour operators functioning in cities of every size all over the world. 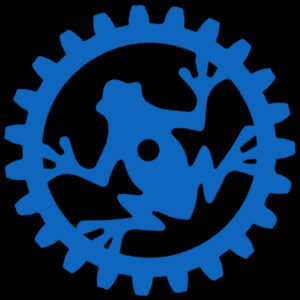 We’ll talk more about how our company has fit into all of that growth next week when we write a post celebrating our 6th Anniversary, but for now, we’re here to talk about that global network of brewery tour operators: LA Beer Hop has joined the newly formed Craft Beverage Tour Operators Association – The CBTOA. 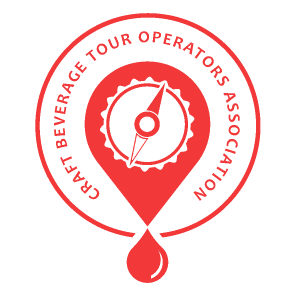 The CBTOA is a 501(c)(6) non-profit with a mission to support craft beverage tour operators and grow their business opportunities by building bridges between its members and the craft beverage, tourism and allied communities around the world. Officially formed in August of 2018, the Association came together after a group of like-minded tour operators met in March 2018 at the Beer Marketing and Tourism Conference in Burlington, VT. At that conference, a group of tour operators sat in a hotel ballroom and discussed the future of the industry. These tourism titans (LA Beer Hop included) discussed lots of things surrounding our industry, such as the need for a platform for tour operators to communicate with each other (other than in a hotel ballroom in Burlington), about how beneficial it would be to create “best practices” for Beer Guides, and about how we could band together to get better representation in other industries (think ticketing software and insurance). We all agreed that creating a global association was the best course, so a committee was put together consisting of owners of tour companies all over the world and three months later, the CBTOA was born. The CBTOA committee consists of Chair Ashley Rose Salvitti of Brewvana Portland Brewery Tours, Vice Chair David Phillips of Dave’s Travel and Events Group, Treasurer Hal Mooney of LA Beer Hop (that’s us! ), and Secretary & Communications Director Barry Hansen of City Brew Tours. It’s a big step for our company, and a big step for our industry. I’m proud to not only be a member of the Association, but to be on the committee as its Treasurer. It’s a wonderful opportunity to help drive the beer tour industry to new heights and continue to ferment the best possible craft beer community. Starting April 8th, we’ll be touring the best beer over the hill! 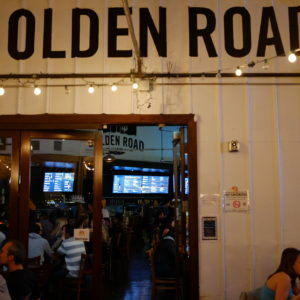 Burbank & Glendale have slowly developed their beer scene after Golden Road settled into the neighborhood in 2011. Now, they’re quietly home to some of the best beer in LA. 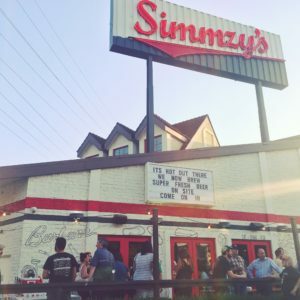 Check out the crisp, clean and super-drinkable beers of Brewyard Brewing or the more seasonal and experiment-driven beers of brewmaster Chris Wawloski at Verdugo West or hop on over to The Brewery at Simmzy’s Burbank for beers crafted by a longtime Los Angeles homebrew legend alongside Simmzy’s delicious food. Tours begin on April 8th and occur every other Sunday at 1:00pm. They depart from the Burbank Metrolink – 201 N Front St, Burbank, CA 91502 (ample parking and easy metrolink service). The tour visits three breweries and includes a flight of beer at each place, bottled water, and as much beer info as you like. The entire event takes about four to five hours and the ticket is $69/person. Food will be available during each tour. Tickets available online and are limited to 15 seats per day. LA Beer Hop is also available for private and corporate tours in this area. Hop on this special East & Central tour with Certified Cicerone®, Hal Mooney! 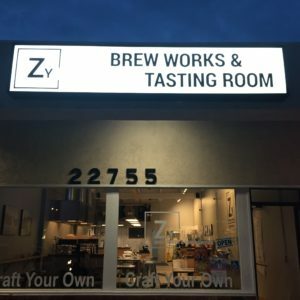 Visit three of the best breweries in LA and chat with Hal about wild yeast cultivation, hip hop varietals, food pairing and all of the geekiest beer topics you can think of over a flight of beers at each location (he’ll be drinking too, not driving). 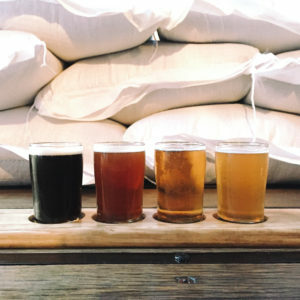 At each brewery we will dive into a different aspect of Cicerone knowledge – sensory evaluation, production techniques, and food pairing. Includes beer & food. 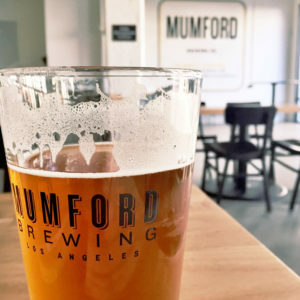 Breweries: Verdugo West (for sensory evaluation), Eagle Rock (for production techniques) and Mumford (for food pairing featuring Baldoria). 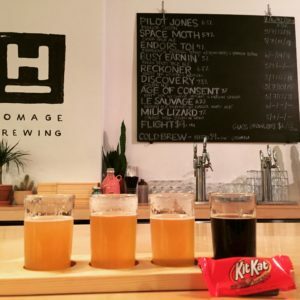 What’s Included: A flight of beer at each location, a brewery walkthrough of each location, food pairings provided by Baldoria and as much beer info as you like. What’s a Cicerone? It’s the beer equivalent of a Sommelier – a certified professional who has acquired a level of expertise in beer history, production, service, storage, food pairing, and sensory evaluation. The immortal team at ERB. Posted in News1 Comment on Road to Cicerone® Tour! You love your dad. You want to get him something nice for Father’s Day, but you got him a Personalized Steak Branding Iron last year and you’ve run out of ideas. Don’t fret, LA Beer Hop is here to be your Guide to Father’s Day. Here’s our 2016 Gift Guide. Take him on an LA Beer Hop – you can buy a specific date or a gift certificate – that’s a no brainer. Make him “Beer Guide” official with an LA Beer Hop T-Shirt. Go to Three Weavers Brewing and pickup the new Unity Beer brewed by Three Weavers in collaboration with the LA Brewers Guild. Take him to the LA Beer Week Kickoff Festival on June 18 – Tickets here. Or go the geeky homebrew route and get him this PicoBrew system. Be a boss and get him a Kegerator. 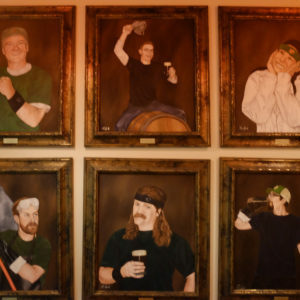 Be a real boss and get him a walk-in beer cave. Get him grandchildren. Or a puppy. Take him on a hike and talk to him about his childhood. Play cards with him all night. Go to a record store with him and try and figure out what his musical taste was like. Frame an article from his hometown newspaper. Get him a book that you’ve read or will read. Then talk about it. Hal is a Certified Cicerone®! Woot, woot! Our owner and Beer Guide Hal Mooney is now a Certified Cicerone®. 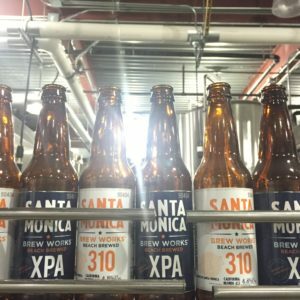 What does that mean for you and for LA Beer Hop? A Cicerone is like a “sommelier”, but instead of knowing everything about wine, a Certified Cicerone® knows everything about beer including beer styles, processes, ingredients, techniques, history, food pairing, serving and tasting. It’s a significant knowledge base. If you want to, you can check out the Certified Cicerone® Syllabus for the exam just to see the wide swath of information that it covers. The title of Certified Cicerone® is granted by the Cicerone Certification Program. To attain the title of Cicerone, you first must pass the Certified Beer Server exam, then subsequently pass the Certified Cicerone® Exam. The exam is a five hour long affair that consists of three parts: written exam, tasting exam, and demonstration. To see a more detailed account of what the exam is made of, feel free to check out their exam breakdown. What doest that mean for LA Beer Hop? Nothing really. All of our Beer Guides are learning about beer every day (tough job, I know). The most important part of the certification process isn’t that Hal received his certification, but that he is continuing his education about beer and acting as a stellar representative of craft beer. The certification is happy proof that we all at LA Beer Hop take this seriously. We’re eager to share all of our information with you. 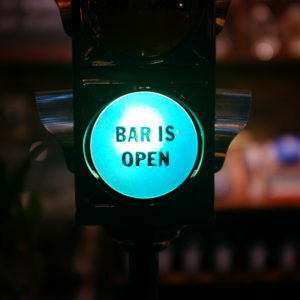 If you’re ever interested in taking the exam or have any questions about beer in general, feel free to give us a shout. It’s award season! And we’re happy to report that our hometown Los Angeles and Orange County breweries racked up a bunch of awards to bring home from the Great American Beer Fest in Denver, which is definitely The Oscars for breweries. Fewer tuxes, more beards. – Craft Beer Won – The Brewer’s Association just announced that there are now 4,000 craft breweries in the US. Well, make that 3,999 because Golden Road just jumped ship. – Beachwood Brewery – Recieved a silver medal in the Coffee Beer Category for their Mocha Machine. – Smog City Brewery – Received a silver medal in the Belgian-Style Fruit Beer Category for their Kumquat Saison. – TAPS Fish House & Brewery – Received four medals for TAPS Kellerbier, Amend This! American-style Pilsener, The Velvet Hog Chocolate Beer, Irish Red and the esteemed Midsize Brewpub of the Year award. 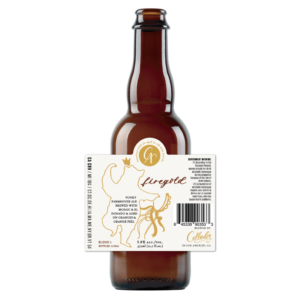 – Bottle Logic – Received two medals for their Lagerithm and Cobaltic Porter. – Noble Aleworks – Received a silver medal for their Session IPA Nose Candy. As the LA Times points out, overall, California breweries were awarded 67 medals and four out of the seven brewery of the year awards.